Established in 2008, Tablao Flamenco is the company's signature series of once-a-month showcases featuring live Flamenco and other styles of Spanish dance and music that takes place just outside of Manhattan in Queens, NY. Presented in a cabaret-type format and atmosphere, guests enjoy food and drinks while being entertained by some of the finest talent from New York City and abroad. Tablao Flamenco gives local audiences the experience of being in a flamenco club, or ‘tablao’, in Spain. 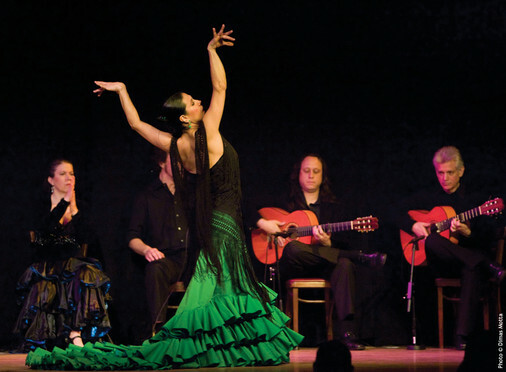 "Tablao Flamenco" Summer 2015 is made possible (in part) by the Queens Council on the Arts, with public funds from the New York City Department of Cultural Affairs, in partnership with the City Council, and with funds from the Decentralization Program, a regrant program of the New York State Council on the Arts with the support of Governor Andrew Cuomo and the New York State Legislature and administered by the Queens Council on the Arts.